Mac OS X Slow? Speed It Up Like a Pro! Even the best of breed of the computing world can be afflicted with the easily curable yet extremely annoying disease of sluggishness. If you have ever wondered “Why is my Mac acting leisurely like it got all the time in the world?”, the chances are that you have witnessed the very same disease in progress. The affliction spares neither older versions of Macintosh operating system such as Mac OS X and OS X, nor its newer brethren known as macOS. 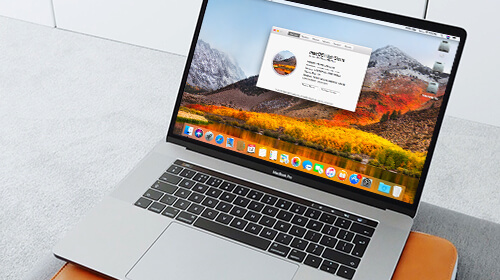 Mac owners often report that after a few years of use their iMacs or MacBooks start showing signs of deteriorated performance such as extended boot time, regular hangs, and even system crashes. Fortunately, these symptoms do not necessarily justify the expense of buying a new computer. Instead of forking out a hefty sum of money for a new Mac, it stands to reason to revitalize the old one. It can be done by applying several tweaks and performing essential maintenance tasks. If the computer’s hardware is not compromised, there is no need for it to operate in the glacial crawl mode. Spending a bit time cleaning Mac OS X will prevent you from asking “Why my Mac is very slow at startup?” The truth is that as time goes by, a hard drive gets cluttered with junk files such as leftovers of uninstalled apps and duplicate photos. Therefore, it is always smart to engage in regular housekeeping to prevent a Mac from grinding to a halt. The maintenance tasks that should be performed by a user do not require too much technical skill or expertise, which is the good news for new members of the Apple family. After finishing basic cleaning and performance management, a user will notice that their Mac is no longer slow. For example, the reduction of the number of the login items, which run automatically at a startup, will inevitably result in a speedier booting. Good user habits also translate into better performance regardless of the type of Apple’s operating system installed on a Mac. There are two basic approaches to cleaning a Mac: manual and software. Those who don’t want to invest in a quality cleaner to lighten up their disk can choose a free utility from a large number of alternatives available on the software market. The software approach is the best option for novice users who don’t know what the Terminal is or how to navigate to remote directories for the search of junk files. Users with the good knowledge of Mac OS can clean up their hard drive by manually tracking down and removing the digital clutter.